This dramatic ring features a superior 12 ct cushion cut certified natural emerald and two half moon diamonds. 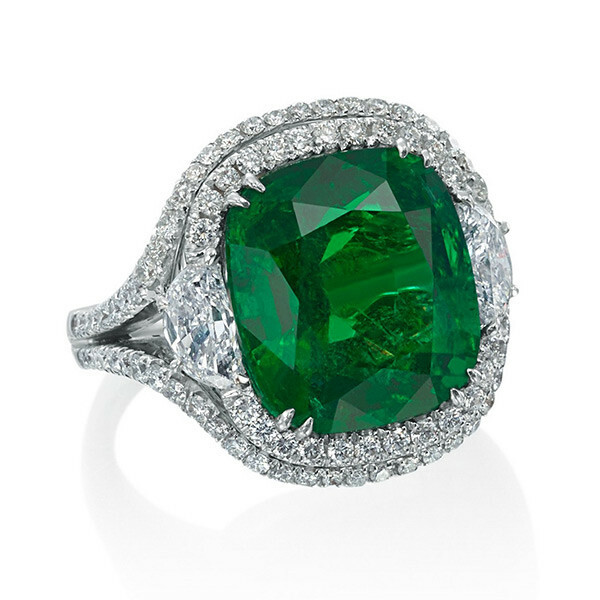 A breathtaking pave diamond double halo surrounds the large gemstone accentuating the brilliant green stone. The entire ring is set in 18kt white gold making this a must be seen work of art!